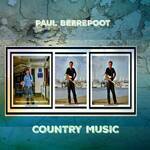 Paul Beerepoot is back on the music scene with a single out for radio promotion. The track is called Fair Weather Friends. Paul is a country music singer originally from New Zealand who is now keen to break in to the world of country music in Australia. In 2009, as global the financial crisis developed, Paul’s once very successful business went bankrupt. During this very despairing period Paul Beerepoot turned back to music for the ultimate comfort which happily rekindled his love for music. In the meantime though, not one to let things get him down, Paul has discovered his own brand new talent – song writing! Paul is an Australian independent artist, located in Queensland’s sunny Gold Coast. His new track – out for radio promotion – is a catchy, tongue in cheek song about ‘so-called’ friends that show their true colours when it comes down to the crunch! The song Fair Weather Friends, is Paul’s first ever self-penned song – once you hear it you’ll find it hard to believe that he has never written before! This great tongue-in-cheek country/rock/pop song depicts the story of the social dilemma Paul found himself in when his business went under and he somehow no longer served a purpose to his so-called ‘friends’. Fair Weather Friends was recorded at the well-known Gold Coast studios of Bignote Productions with expert producers Jennifer Matthews and Paul Harris. Since writing this first hit, Paul Beerepoot has been hard at it writing more great songs and planned on recording his first ever EP to release in 2016. Fair Weather Friends was snapped up quickly by his local radio station – 94.1FM Gold Coast Radio – after debuting on their ‘local gig’ program. The station chose the track as their song of the week, playing it on high rotation for the week. Contact us for radio promotion information for your next single. Contact us if you’d like to book this country music artiste for your event.